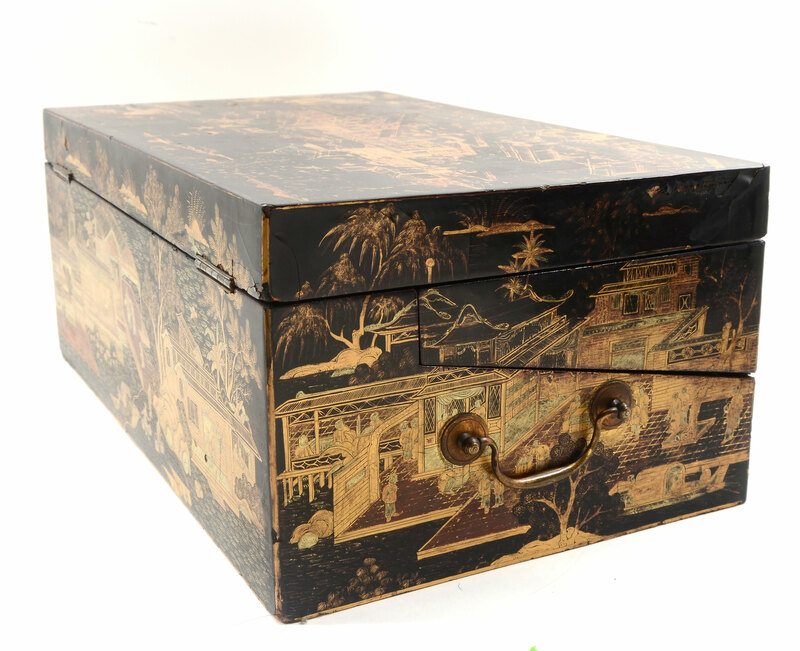 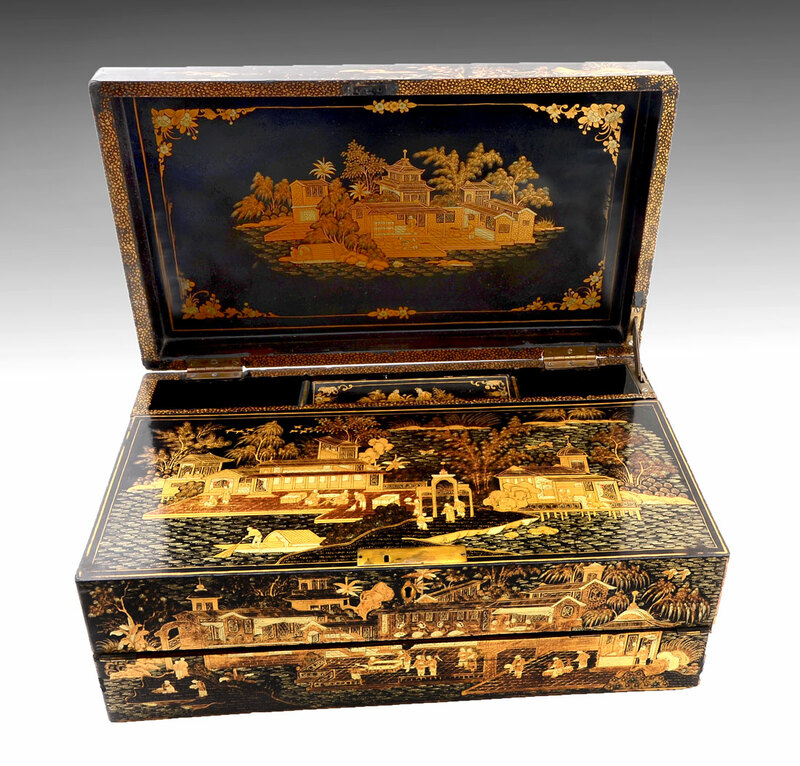 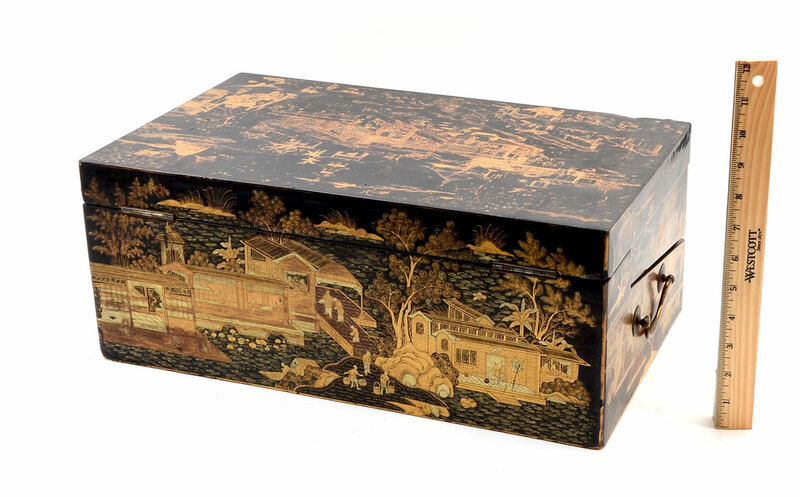 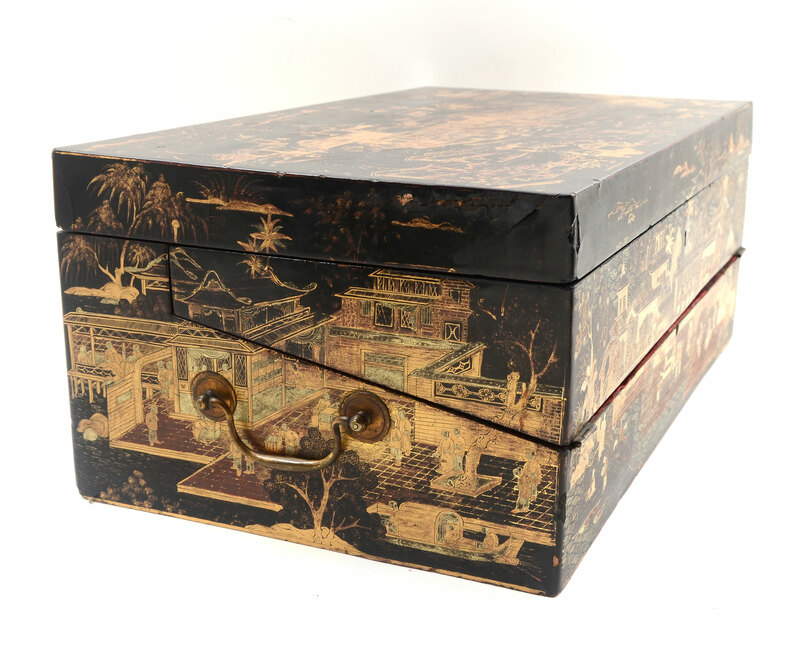 19TH CENTURY BLACK LACQUER AND CHINOISERIE LAP DESK: Chinoiserie decorated all over with outdoor genre scenes. 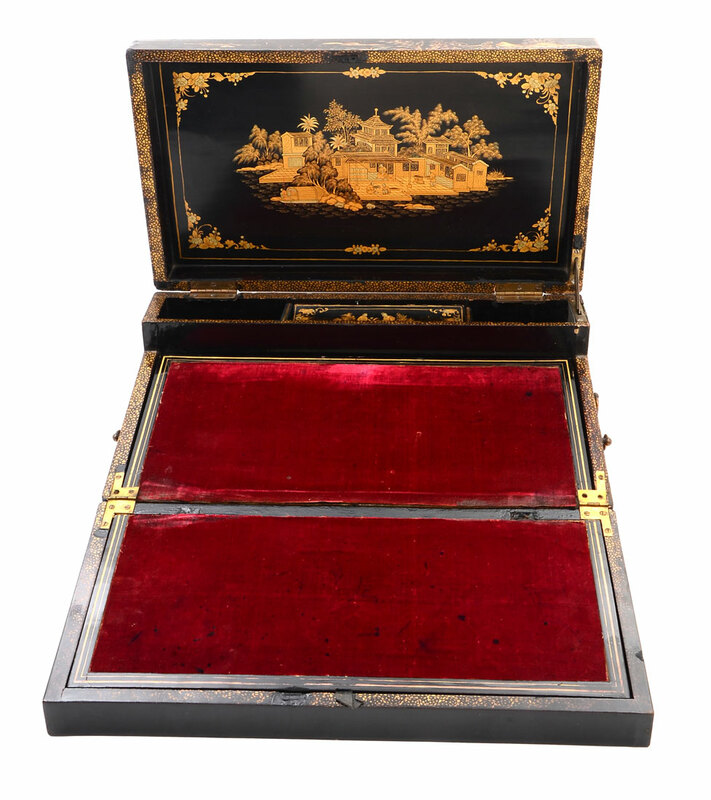 Hinged lid, felt writing surface, open and covered storage. 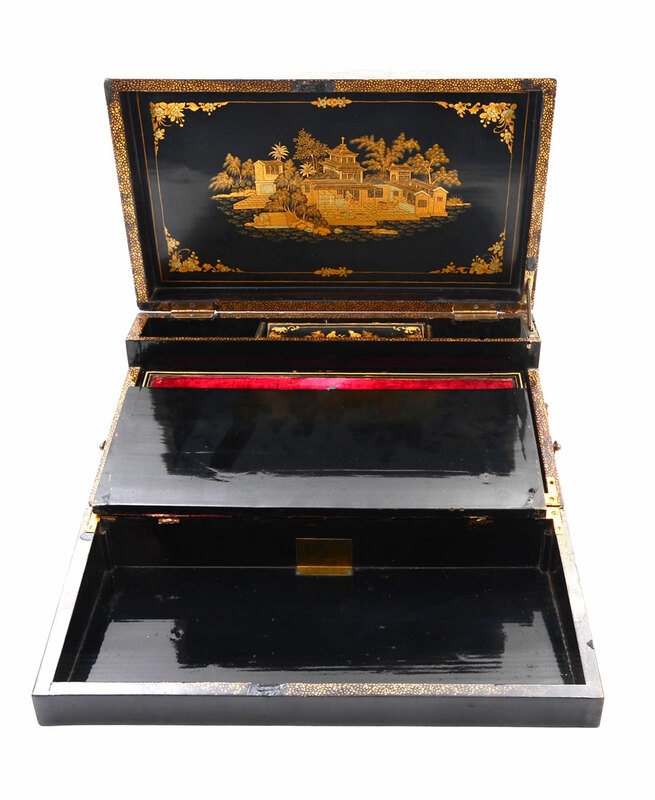 7 1/2'' h. x 18 1/2'' x 10 3/4''. 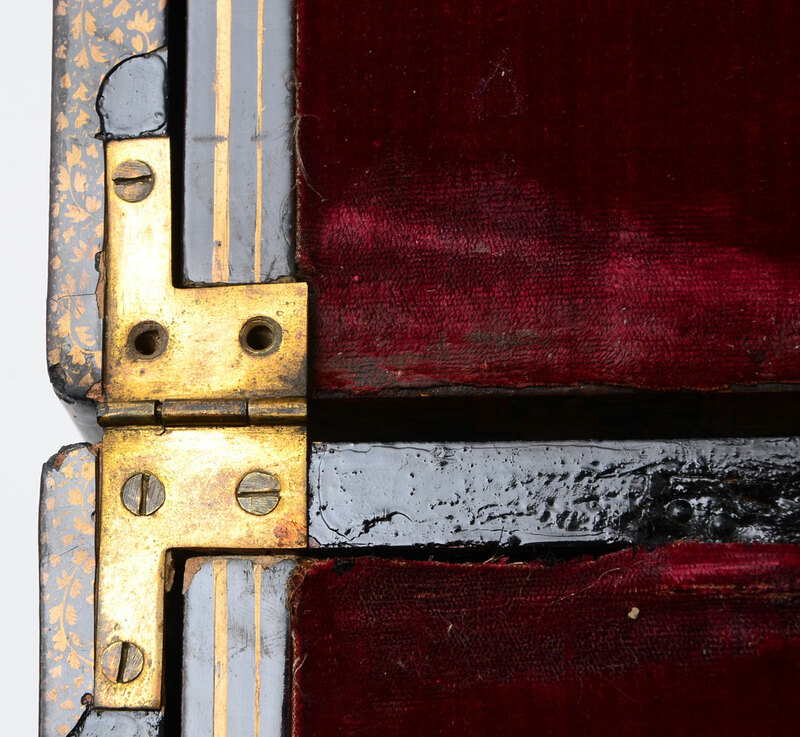 CONDITION: Wear to case, writing surface has separated.